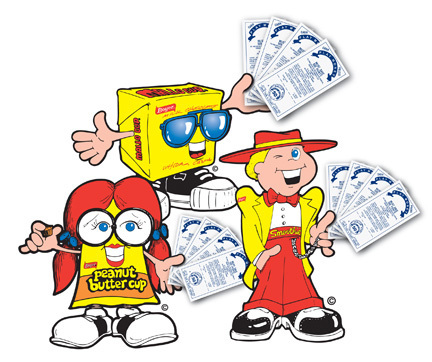 Boyer Candy doubles it's redemption on the play money that is nestled under the delicious Smoothie Cup, Peanut Butter Cup, and our Famous Mallo Cup! In an effort to boost the economy Boyer Candy announced today for the first time in 77 years that they will double its redemption of Play Money from $1 to $2, effective immediately. Since 1936, The Boyer Candy Company, makers of the Mallo Cup has been packing Play Money under its nostalgic pieces of candy. The Play Money has a point system the ranges from 5 to 50 points. When 500 points are saved, Boyer will send a rebate check for $2, or an assortment of other prizes. For more information on Boyer’s Play Money Program, please visit our website at http://www.boyercandies.com. High resolutions photos and additional jpegs are available upon request.